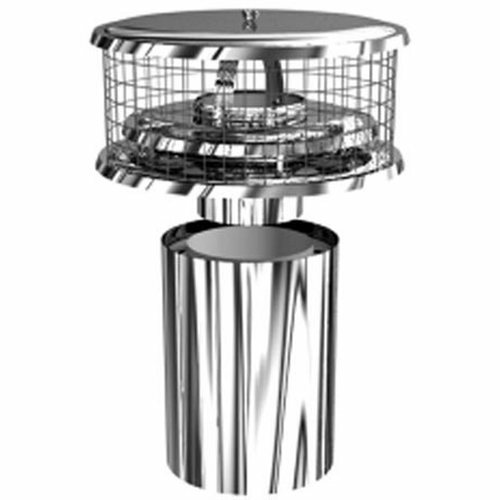 These TDW WeatherShield models assure a secure wind-resistant fit, without interfering with the convection cooling features of air-cooled chimneys. Protects chimney from adverse weather. Keeps out debris and animals. An exclusive spring-tension connector assures a self-adjusting secure fit. The spring-tension connector enables TDW WeatherShields to fit either Double or Triple Wall Air-Cooled Chimneys.